After clicking a new window pops up displaying all memory cells in different colors. 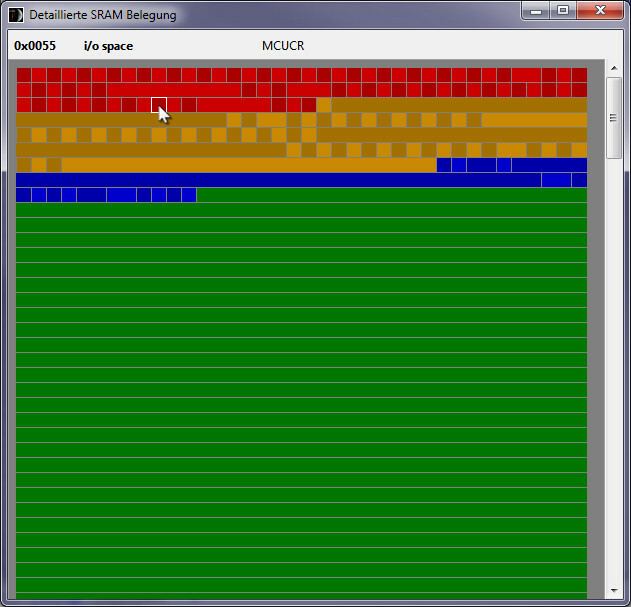 Each cell is corresponding to a single byte of the memory. When moving the mouse-pointer to a dedicated cell, in top of the window, the address, section-name, name of the assigned variable port etc. is shown.